What do you do with a Snow Day? You put on the snow pants and play! 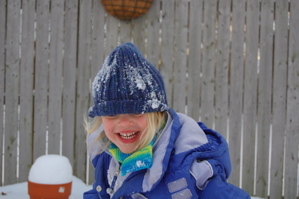 We had a great time making sure that not one square inch of snow in the back yard was left untouched. 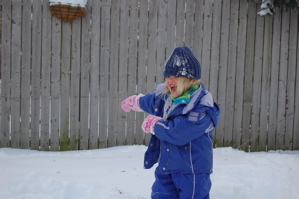 Miss R frolicked and fell down, made snow angels, and tried to make some snow balls-it just wasn’t sticking. What a great weekend for playing in the snow.